Facebook has been under fire in India following a string of lynchings that appeared to have been prompted by false news spread on WhatsApp. It’s become such an epidemic that the Indian government has demanded something be done. For now, Facebook’s solution involves running ads in local newspapers explaining how to spot fake news. For almost two months, India has seen mob violence breakout in rural villages after incendiary messages spread on WhatsApp accusing innocent people of crimes like human trafficking. Last week, the Washington Post reported that five people were killed by a vigilante mob after a post accusing them of trafficking children was forwarded among locals. Authorities have attempted to stem the problem through various tactics including sending out street performers known as “rumor busters.” One of them was killed by a mob in Tripura while trying to raise awareness about fake news. It’s an exceedingly difficult problem for WhatsApp and Facebook. While Facebook has faced fake news scandals in the West that may or may not have influenced various political outcomes, in some countries, violence has exploded due to widespread false stories. Anti-Muslim attacks and ethnic cleansing in Myanmar and Sri Lanka have been specifically linked to mobilization on the social network. According to Reuters, India is WhatsApp’s biggest market with 200 million users, many of whom are experiencing web-connected devices for the first time. Lack of education and inexperience with the contours of our big dumb internet combine with tragic results. It’s a problem with no easy solution, and it’s not clear how effective a bunch of boring educational ads could possibly be at addressing the problem. India contains a third of the world’s illiterate population, the most in a single country by far. Being unable to read, however, doesn’t prevent someone from listening to a rumor being spread by someone who can. We reached out to Facebook for comment and to ask for more details about its upcoming rollout of the fake news program but didn’t receive an immediate reply. While Facebook and all of its other brands are tech companies, they’re also publishers. It’s a little weird that Facebook feels it needs to send its message in an analog format. 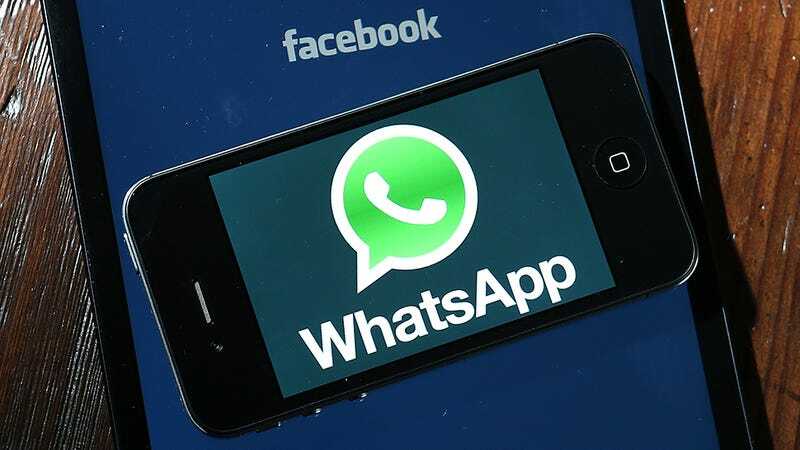 As far as tech solutions go, it may be moving forward with a feature it’s been testing on WhatsApp that notifies users when they’re about to send a message that “has been forwarded many times.” The hope is that people will stop and think before they share something.